Depending on what source you listen to; an electric toothbrush offers anywhere from 2x – 5x the cleaning power of a manual toothbrush. While you can get your teeth really clean with a manual; the simple fact of the matter is that most of us just don’t have the time, patience, and brushing technique needed to get our teeth perfectly clean using the old-fashioned way. A good electronic toothbrush will make your oral hygiene routine easier, allowing you to focus on getting each and every tooth in your mouth cleaner than ever before. While regular flossing and mouthwash use are essential for optimal oral health, there’s no substitute for brushing. When using a manual toothbrush, most people can manage approximately 200 strokes per minute. A good sonic or oscillating product will offer 30,000 or more which gives you cleaner teeth in less time. When brushing with a manual, you can only focus on sections of the mouth (ie., top, bottom, front, back) which makes it harder to remove plaque from every nook and cranny to prevent tarter buildup, tooth decay, and gum disease. With an electric, you simply press the brush on your teeth ever so lightly, and they’ll zap all the plaque away from each and every tooth in your mouth! Nearly any electric toothbrush worth buying (see our reviews further down the page) will have a countdown timer that beeps or stops the brush after 2 or 3 minutes. Each will also have some form of a pressure sensor that shuts down or limits the power to the brush head when you’re pushing too hard. An electric toothbrush does all the work for you, taking the guesswork out of how hard and fast you should brush. If you have arthritis, neuropathy damage, or any other disorder that makes it hard to do delicate tasks with your hands, an electric toothbrush will make it very easy to get a great whole mouth clean. Electronic toothbrushes only require that you apply minimal pressure to your teeth and their larger size makes them much easier to hang on to than a manual. A single manual toothbrush will use the equivalent amount of plastic that it would take to manufacture 20 – 45 replacement heads for the average electric toothbrush. Even considering that you’ll eventually have to dispose of them eventually when the battery stops holding a charge, the savings in raw materials over the average 3 -5 year lifespan of a typical rechargeable electric is very significant. Look for products that use either sonic or oscillating brush heads to clean. Only choose models that offer a minimum 30,000 strokes or pulsations per minute. Don’t buy cheaper vibrating head toothbrushes, which offer a paltry 5,000 strokes per minute or less; they aren’t much more effective than a manual and may actually damage your gums since you still have to move the bristles around aggressively to clean your teeth. Electric toothbrushes require a lot of battery power to effectively clean your teeth. Models that allow you to replace batteries tend to be cheap and very low powered. Worse, you’ll actually spend more money on batteries over your lifetime than you will buying a rechargeable that will offer 1000’s of charges. Electric toothbrushes literally EAT batteries, don’t skimp on this feature! A simple brush timer that beeps a warning, or actually shuts down the toothbrush after specific brushing intervals helps prevent “over-brushing”. Brushing for too long can irritate your gums and possibly lead to tooth sensitivity and pain. Some brands will also include a separate digital timer with their product. Most brands will claim to have an ergonomically-designed grip, but this feature is largely subjective. Look at pictures and read the product reviews carefully to decide if the brush you’re looking at is the right fit for you. You’ll find that most modern quality electric toothbrushes offer a light, sound, or vibration warning when you’re pressing too hard while brushing. This isn’t necessarily an essential feature, but it will help you brush your teeth better and save you money in the long run by preventing over-brushing, which can actually cause more trips to the dentist and require more frequent replacement of your brush heads. You won’t find a more affordable rechargeable electric toothbrush than HX5610/30. It uses sonic technology to deliver 31,000 brush strokes per minute to your teeth. As you might expect for a unit that falls under $50, there aren’t many bells and whistles on this product. The Philips Sonicare HX5610/30 offers a single brush mode, two-minute timer, ergonomic soft-grip handle, extra-soft bristle heads, travel case, and Philips’ Easy Start Technology which gradually increases the power sent to the brush head over the first 12 uses. The packaging claims the battery will hold a charge for up to two weeks (approximately 24 uses). The Precision 3000 is slightly more affordable purchase than the Precision 5000 listed further down. One of the great benefits to purchasing an Oral B electric toothbrush is the variety offered in the brush heads (see selection). With such variety, you can experiment to find a shape and design that works best for your oral care needs. The Precision 3000 uses 40,000 brush strokes per minute to clean your teeth and offers 3 brush modes: Daily Clean, Sensitive, and Whitening. This unit has a pressure monitoring system that triggers a light on the brush when you’re pushing too hard. It doesn’t come with Oral B’s Wireless Smartguide found on the Precision 5000. Oral-B makes the #1 dentist recommended toothbrushes worldwide. This affordable rechargeable unit uses an oscillating motion delivering 40,000 brush strokes per minute to loosen plaque, while a pulsating and rotating motion sweeps it away to clean your teeth. This particular electronic toothbrush has Wireless SmartGuide incorporated into it; a separate display monitor that tells you how hard you’re brushing and which tells you when to move the brush. 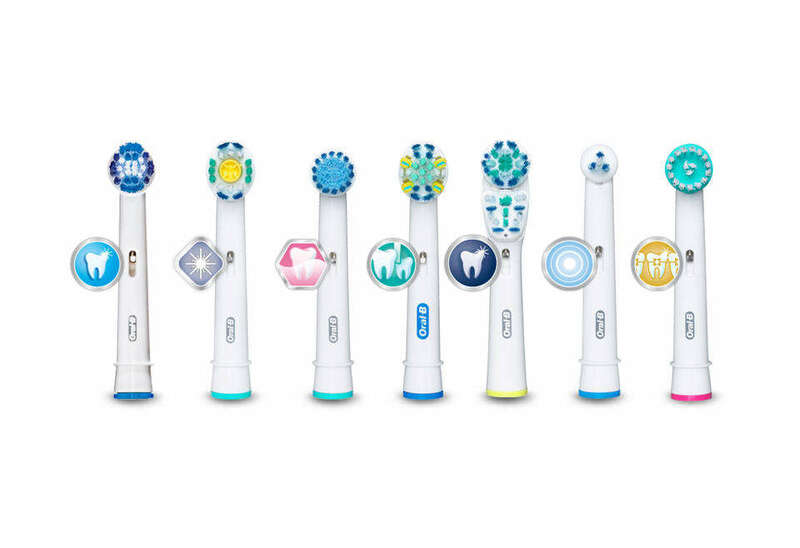 The Oral-B Precision 5000 offers 5 different brushing modes: Daily Clean, Deep Clean, Sensitive, Massage, and Whitening. The battery in this toothbrush is one of the best on the market, promising up to 3 weeks of battery life, which makes it ideal for traveling with. The Flexcare is a great deal for couples and families, coming with 2 complete premium toothbrushes ready-to-go. It delivers 31,000 strokes per minute which is the ideal speed for a sonic-powered unit. The really standout feature on this particular model is the UV Sanitizer, which kills germs on the Philips’ “Diamond Clean” brush heads between cleanings. Next to the HX9332, which is discussed further down the page, this combination set is one of the better overall values you’ll find. While the popularity of Waterpik toothbrushes have waned in popularity over the years, they still pack quite a punch in the value department! Ringing in at just under $100, and offering tons of extras over the competition. Not only do you get a premium-quality sonic toothbrush, but also their patented water flosser. You get a large and small brush head with your purchase and 5 different water-flossing attachments for reaching different areas of your mouth. The only drawback to this purchase is that there are no pre-programmed brushing modes or pressure sensors in the brush. The HX9332 has all the features of the other Philips toothbrushes reviewed on this page, and much more. It’s the best toothbrush in the company’s Sonicare lineup. It has five cleaning modes: Clean, White, Polish, Gum Care, and Sensitive. The thing that really sets this electronic toothbrush apart is that can charge via the wall or usb and the charging stand has been eliminated and replaced with a handy charging cup. It also comes with an extra brush head, charge indicator built into the handle, “Quadpacer” brush timer, Easy Start Technology, pressure warning system, and lithium-polymer battery that lasts up to 3 weeks between charges. So at this point you’re probably still wondering which is the best. The answer is very subjective. If you’ve never used an electric before, you may want to take a trail-run with a <$50 unit for a year or two. At the same time, you won’t get half the features with a cheaper electric, and may regret going the cheap route soon after buying one. • Just want a cheaper electric and don’t care about the frills? Buy a Philips Sonicare HX5610/30 or Oral B Precision 3000. • Have a secret fear of all the little germs that build up on your toothbrush while not in use? The Sonicare Flexcare is perfect with its UV Sanitizer! • Want to spend a little more and get some extra features? The Waterpik WP-900 and Philips Sonicare HX9332 are both excellent choices.